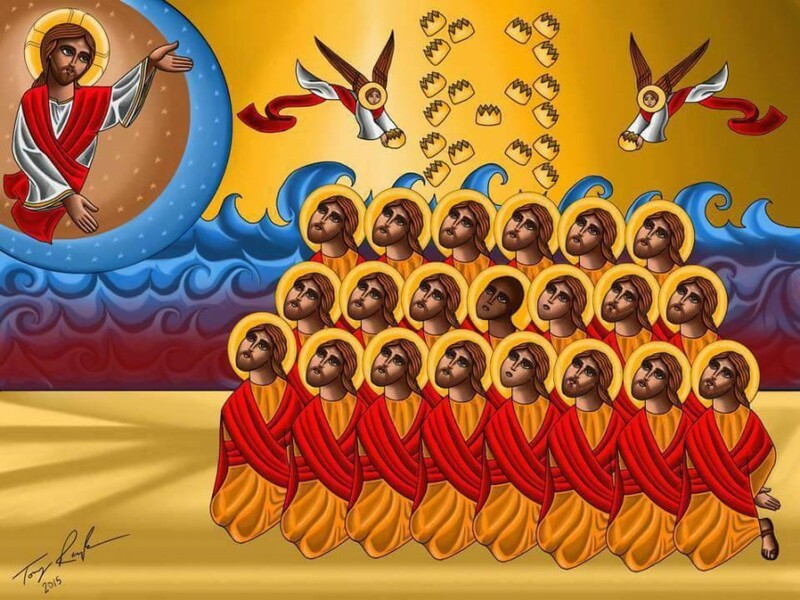 His Grace Bishop Serapion, along with the clergy and laity of the Coptic Orthodox Diocese of Los Angeles, offers prayers, condolences, and sympathy to the families of the 21 Coptic martyrs of Libya who received the crown of eternal life on February 13, 2015. We pray that the Lord may receive their pure souls in the Paradise of Joy and grant them eternal rest in the company of all of the holy saints who have pleased Him. May Christ comfort the families of the martyrs and all those who mourn this great injustice.